In-stock 8V 2.7A voltage regulated AC Switchmode 21 watt external power supply, with 8 Volt 2.7 Amp DC output from PowerStream. 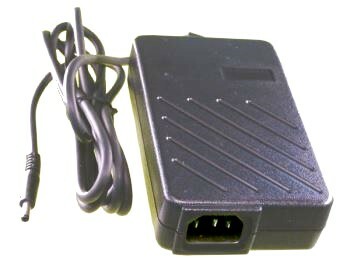 This is a compact, high quality, 8V switchmode regulated power supply, 21 watts continuous with an IEC C13 three prong AC connector. The unit comes with the power cord as priced. AC plug Removable IEC C13 connector makes it easy to use international mains cords. Universal input switchmode power supply with fixed 8 volt output voltage. High efficiency PC power supply for digital cameras and telecom use.